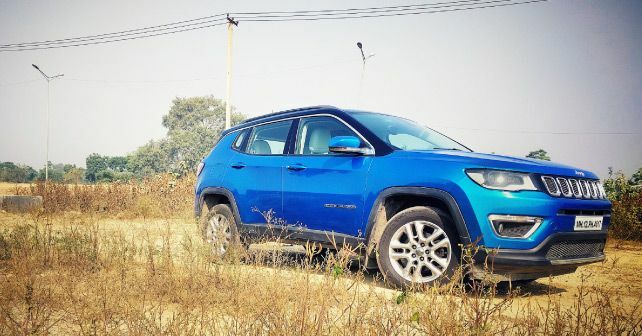 Unlike last month, where I got very little time to drive our long-term Jeep Compass, this month the going has been much better. I’m back in office, which means that I get a fair amount of time to use the Compass for my daily commute. And, with the rate of traffic intensifying with each passing day, I sometimes do miss a diesel automatic option on the Compass. I think, with today’s traffic levels, a good automatic gearbox is a true blessing, more so if you live in one of our rather crowded cities. However, the manual gearbox is still relevant, especially if you like to go on long drives, or when you’re off-roading, like I was a couple of weeks ago. With its standard fit Active Drive 4x4 system and various terrain modes – Auto, Snow, Sand and Mud – getting the Compass off-road is effortless. Sure, you have to bit careful when taking sharp inclines – mainly due to the rubber lip below the front bumper which is easy to scrape – but overall the system works flawlessly and is easy for almost anyone to master. And, for now at least, this is an aspect of the Compass that I’m enjoying very much.